A study of wastewater in a number of European cities has helped establish the extent of their use of hard drugs. The study found the Swiss city of Zurich had particularly high levels of a cocaine byproduct called benzoylecgonine (BE) in its wastewater. 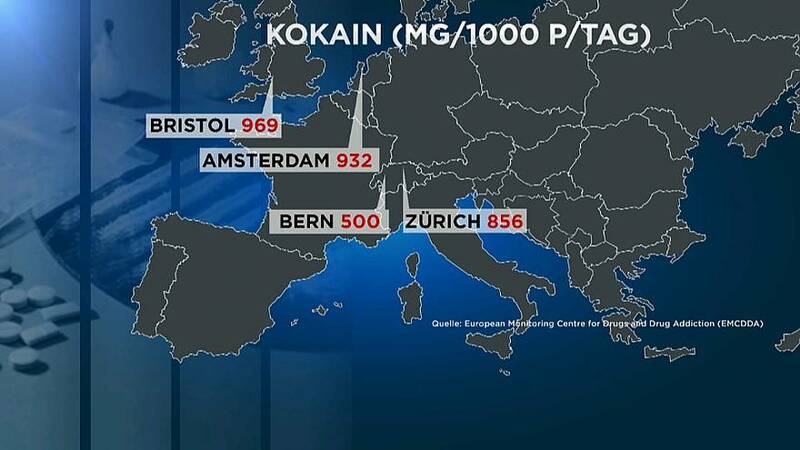 Bern and Barcelona also ranked highly but the highest level was recorded in the English city of Bristol, with 969 mg for every one thousand people in 2018. Zurich also marked highly for ecstasy, although here it was Amsterdam that led the way, followed closely by Berlin. "The BE loads observed in wastewater indicate that cocaine use remains highest in western and southern European cities, in particular in cities in Belgium, the Netherlands, Spain and the United Kingdom," a report published by the European Monitoring Centre for Drugs and Drug Addiction, said. "Very low levels were found in the majority of the eastern European cities studied, but the most recent data show signs of increases." Fourteen mostly Western European countries took part in the study, which found sharp increases from an earlier study conducted in 2011.